Micro needling is a minimally invasive procedure used to rejuvenate skin and improve the patient's appearance. 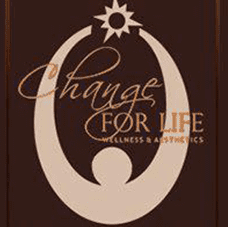 At Change for Life Wellness & Aesthetics, Dr. Wanda Dyson has the skills and experience needed to apply this revolutionary technique to patients in the Washington, D.C area. Micro needling therapy is completed using a device that is made of many fine needles. The device is applied to the skin by a highly trained medical practitioner. The fine needles create tiny punctures on the surface of the skin, creating a controlled skin injury. Each one of these tiny perforations prompts the body's natural healing process. That leads to the production of new collagen and elastin, the tissues that provide the plump appearance of a youthful face. Patients experience a noticeable improvement in the texture and firmness of their skin, as well as a reduction in the appearance of enlarged pores, stretch marks and scars on the skin's surface. Many patients have heard of PRP injections, which are targeted injections of a substance known as platelet-rich plasma (PRP) into various parts of the human body. PRP is created by taking the patient's own blood and putting it through a centrifugal process to extract the platelets, which are then condensed down into a highly potent solution. That solution is then injected back into the skin. How are PRP injections beneficial in improving appearance? PRP injections work to prompt the body to regenerate collagen and elastin within the tissues of the skin. This therapeutic approach has a powerful ability to use the body's own resources to improve appearance. As new collagen is created, the skin’s natural ability to retain moisture is increased, which further enhances plumpness and fullness within the face. Because PRP injections are created using the body's own blood, the risk of infection is very low. PRP injections can bring improvement to acne, scars, bags and under-eye circles, fine lines and wrinkles, and sagging around the ears.